This is a great collection of summer dessert recipes perfect for the British Summer - come rain or shine! They range from the classics, such as Geoffrey Smeddle's easy Eton mess recipe and Dominic Chapman's elegant Lemon tart, to more unusual dessert ideas - try Josh Eggleton's impressive Pimm's Jelly recipe for a fun summer pudding. 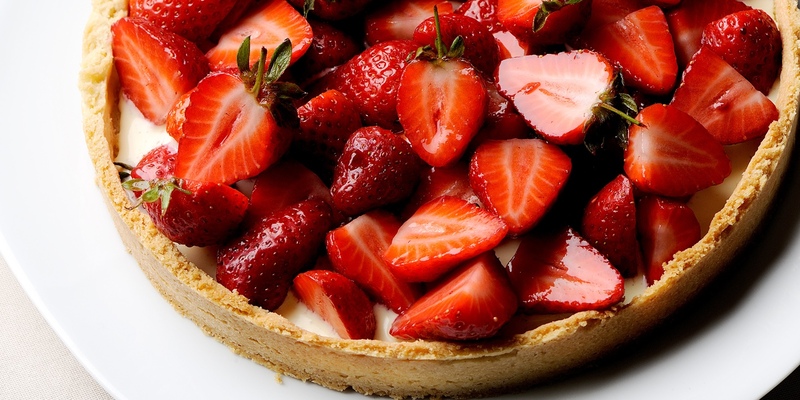 No summer dessert collection would be complete with gorgeous British berries, with Pascal Aussignac's stunning Strawberry tart recipe, and the pretty reinvention of a classic Strawberries and cream by Marcello Tully. For those wanting to do something really special there is always Tom Aikens's Poached strawberries, served with a Champagne sabayon. Not wanting to ignore the chocoholics we have some incredible lighter chocolate recipes which are perfect for warmer weather, such as Robert Thompson's Chocolate chill tart recipe, and a refreshing Chocolate and orange sorbet from Paul Ainsworth.